In March 2010, I remember waiting for a bus at Old Key West with my husband and twin boys, and when our bus pulled up, droves of women with huge medals were getting off. I remember asking one of the women what the medal was for, and my dreams for runDisney came alive. At that point in my life, I was overweight and out of shape. I had hopes of wearing a medal one day, but never thought I would run to get one. It was a distant dream that I honestly, never thought would come true. 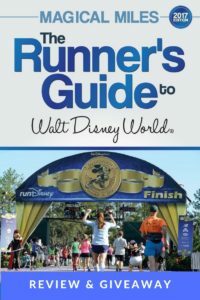 Little did I know, that five short years later, I would begin to make that distant dream become reality, which led me to “Magical Miles: The Runner’s Guide to Walt Disney World“. 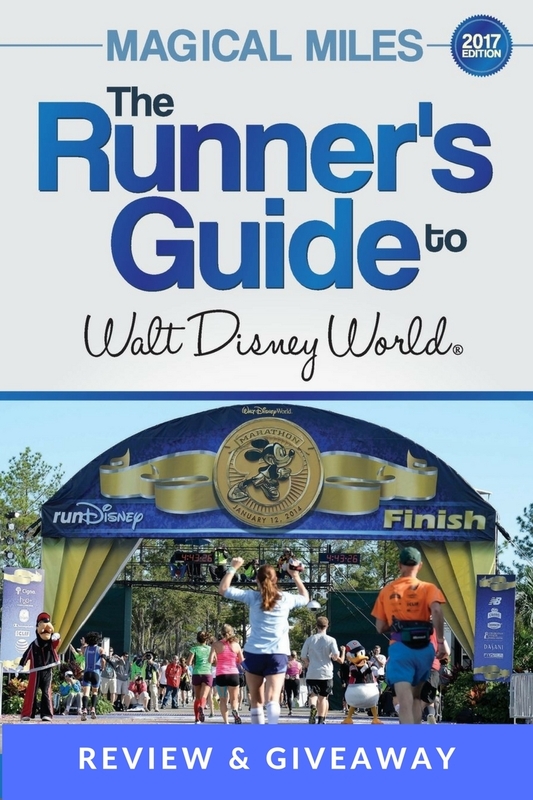 Although all of my runDisney knowledge came from friends that had run previous races, I wanted to review this book, because 1.) You may not know someone that has the insider scoop, and 2.) Even though tons of tips come from us here at Tips From The Disney Diva, this breaks down EVERYTHING you would need, want, and may not even care to know! This book is broken down into 18 chapters, and this is only for Walt Disney World! Magical Miles also publishes Disneyland and Disneyland Paris editions available in paperback and eBook! 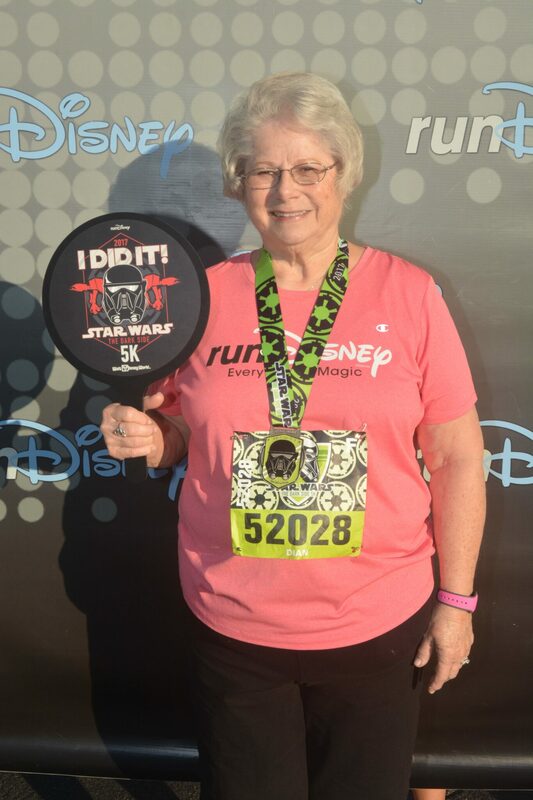 Not every person dreams to run or even walk a runDisney event. You’re already walking miles upon miles each day at the parks, why would someone want to get up at 3:00 am to prepare for a 5:30 “race”. Would you believe anywhere between 10,000-25,000 of your closest friends would do this? Believe it. But it’s not just one race a year, runDisney has several a year, and each with a different theme. It’s up for you to choose, if you can, which one best fits you, or you can be like me, and want to do them all, but have to space them out! What sets Disney apart from every other race in the world is the experience. It’s one like no other and will spoil you in every way. 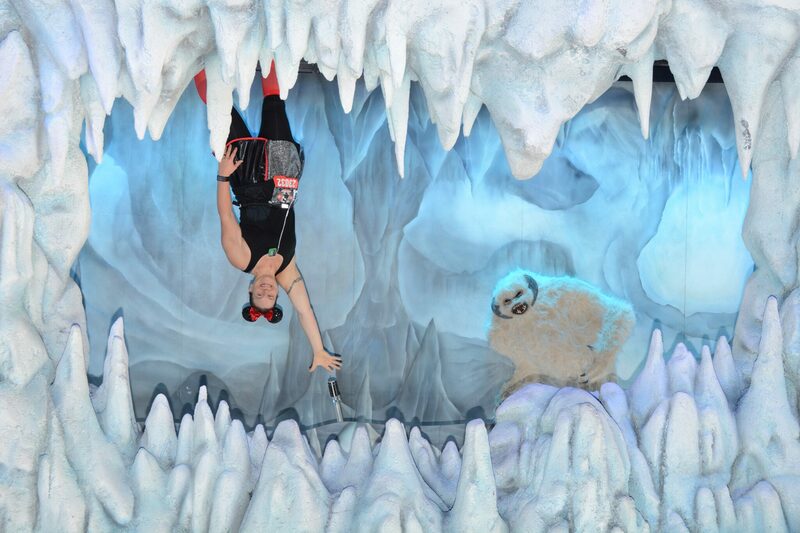 No other race can compare to Disney, especially because you have opportunities to see rare characters and take pictures you can’t get anywhere else. 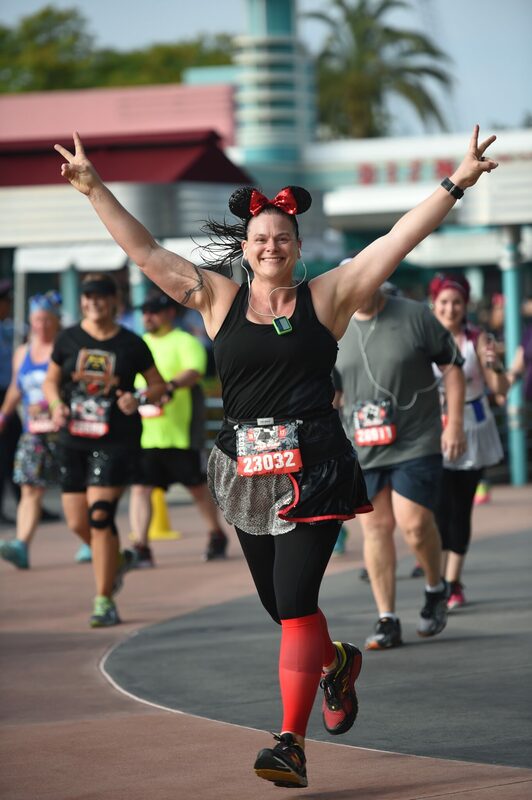 Some people run for time, but Disney makes it too much fun to miss everything. This book covers everything about where to stay, which race to choose, when and where the races are located, what the temperature usually is for each race, where and how to register, how to train, gear for training, what podcasts are available, where to eat, how to eat leading up to your race, what to bring, transportation, and the list goes on and on. Let me hit the highlights. 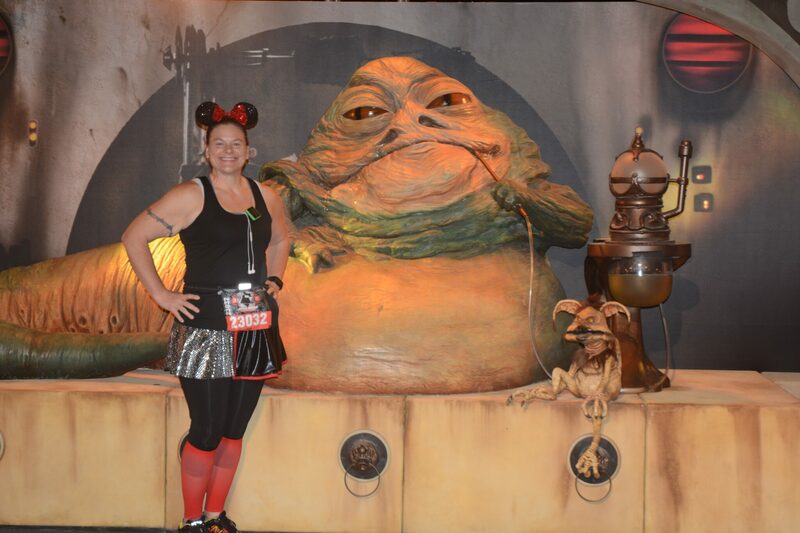 You’ve decided you want to runDisney- Which race should you do and should you do a challenge? 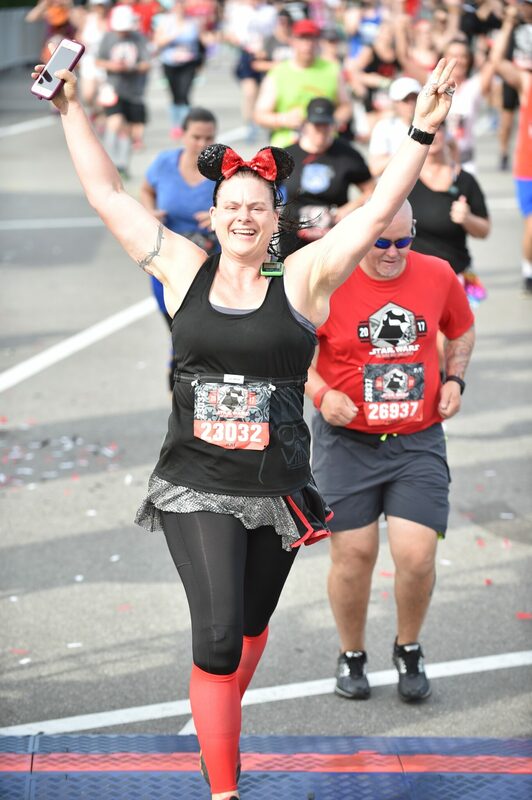 A full marathon is only offered once a year and it’s located at WDW in January. Every race offers a 5K, 10K, Half Marathon, and Challenge option. Paris only offered a 5K and Half Marathon in 2016, but according to the runDisney website, they have added the 10K and 10K and Half Marathon Challenge. So, where should you start? 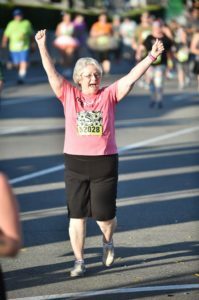 Whether you’re a seasoned runner or an experienced mall-walker (as my mother describes herself), you can find a race or races for you to enjoy! You can do one, two, or all three, and for marathon weekend in January at WDW, you can do all four!! Let’s rein it back in for a moment, because 48.6 miles may not be anywhere on your radar! 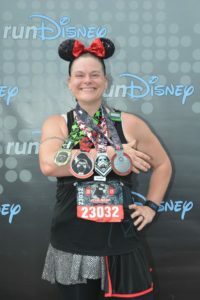 Another way to decide which runDisney event to choose would be to look at the theme of each weekend. You have anything from Princesses to Tinkerbell to Avengers (a bucket list of mine) to Star Wars (the Light Side is in Disneyland and the Dark Side is in WDW) to your classic characters for the Full Marathon. 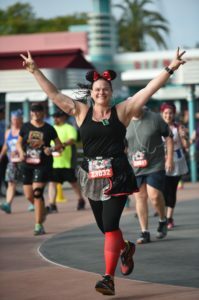 My very first runDisney experience was this past November with Wine and Dine themed weekend. This half marathon weekend falls during The Food and Wine Festival, which is one reason why I wanted to go! The food is absolutely amazing! This book breaks down each weekend and helps you find the one that would best fit your needs. 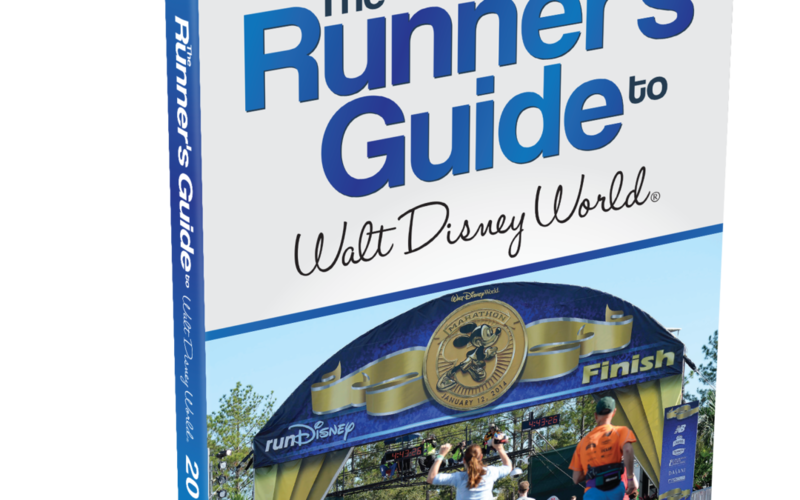 The rest of the book goes into preparing for the races, gives you training tips, spectator information on how to track your runner and how to get around the course to cheer your favorite runner on. Need a babysitter because both parents are running? This book covers on how to arrange that. It also covers photos and recovery! If you’ve walked a 5K or you participated in a challenge, recovery is key to being able to get up and do it again. Or just get up and enjoy the parks. Make sure to stay hydrated and keep moving! All in all, this book is a must have. I will be purchasing the Disneyland edition since that is on my bucket list. 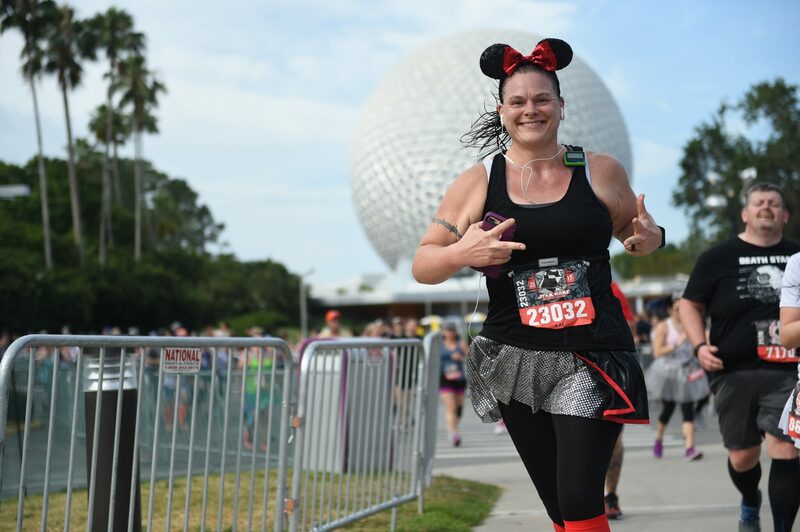 This covers many points, especially if you’ve never participated in a runDisney event, that will help you get prepared for your first or fiftieth race. One thing to remember is that it’s not always about the finish time, but crossing the finish line. 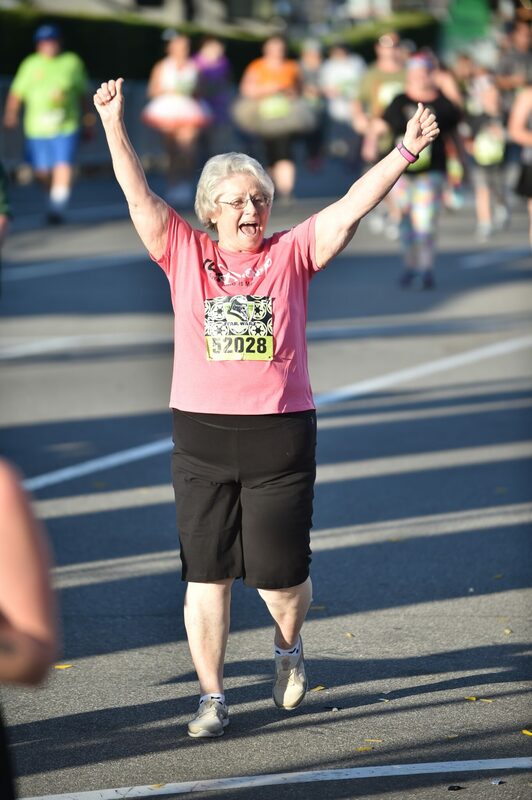 Crossing the finish line for the first time, or the tenth time, never gets old. The feelings are the same. You’ve just accomplished something that many people will never even attempt. 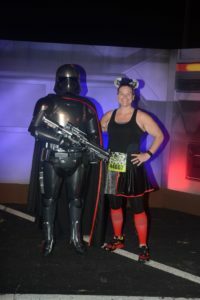 I just got back from my second runDisney event, the Star Wars Dark Side Weekend. It was everything I imagined it would be. And MORE! My mother did the 5K with me and that was an absolute blast. 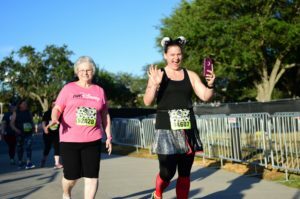 Was honored to run with a friend for her first 10K. And finished out the weekend with a half marathon, and I don’t think I missed one character stop. I run for the finish line and the experience on these races and not for the time. The only thing you do have to worry about is maintain a 16:00 minute per mile pace so you’re not “swept” (picked up by a bus and drove to the finish line). Even though you still receive your medal, getting swept can be disheartening, so I would make sure that you are fully prepared to make the pace requirement, especially if you want character pictures. I say go for it! What have you got to lose? You have everything to gain! A fun experience, a T-shirt, and the oh so coveted finisher’s medal or medals! But the best news is, Magical Miles has agreed to partner with us for a giveaway! Just scroll down to the Rafflecopter link below and go from there! Remember to like and follow our sponsors for more chances to win your very own copy, or if you simply can’t wait, you can order it on Amazon. Good luck! Disney Diva Disclaimer: Magical Miles generously donated a free copy of this book for Tips from the Disney Divas & Devos to review and will be providing a second copy for the winner of the giveaway. While I did receive this book for free, we pride ourselves in our honest reviews, and my opinion is 100% my own, and not influenced in any way. To enter the giveaway you must LIKE the Facebook pages listed in Rafflecopter. All entries will be verified. The winner will have 48 hours to respond. Good Luck! Disney World’s PhotoPass now to include runDisney photos! The Unofficial Guide: Walt Disney World with Kids 2018 Review & Giveaway! My name is Kai and I live in Alabama with my husband, Joey and three beautiful boys. I work as a Work from home Mom and I love all things Disney! I've been going to Disney World my entire life. My husband was introduced to Disney through me and now has more knowledge than I do! We joined Disney Vacation Club on our honeymoon and we are so thankful we did. Our oldest sons love the Disney Channel (we do as well, shhh!) and collect every Disney movie possible. We try to go to WDW at least once a year and try to throw a Disney cruise in there somewhere as well. My dad is a retired cast member, so Disney is in my blood. I fear my passion for Disney is as huge as the love for my family!!! It's my second home! !